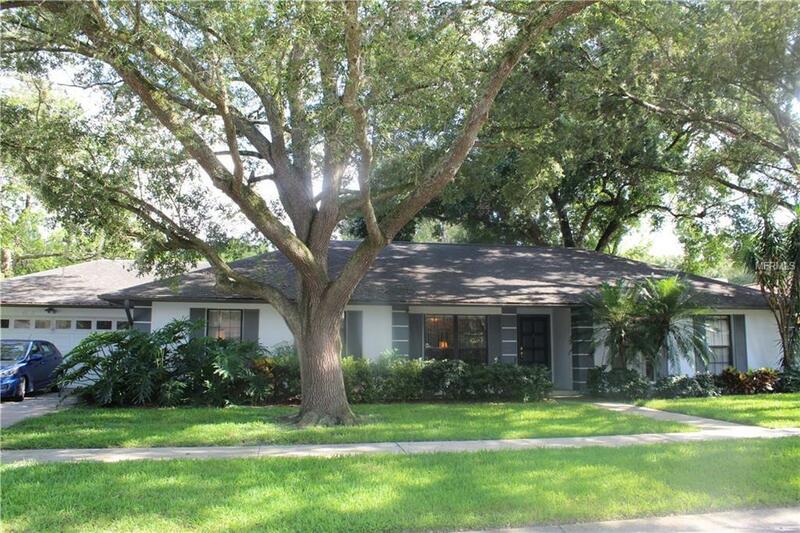 CARROLLWOOD - MAGDALENE GROVE - Well maintained 4 Bedroom/3 Bath 2,406sf Pool home on oversized .36 lot. Updated kitchen with Granite countertops. You can dress up and entertain in your formal rooms or dress down in the comfort of your family room with fireplace. Take your pick - master, living and family rooms give you glass slider access to the covered lanai, caged pool and fenced backyard. Enjoy privacy with a split bedroom plan. Oversized master suite. New carpet. No need to go to the garage, the inside utility room has it all including washer, dryer, and utility sink. Kick back and relax with a dip in the pool or on the patio listening to the waterfall. Attached 9x7 workshop with electricity along with a large 15x12 storage shed. Add your personal touches and call this home! You will be close to everything important: Schools, Hospitals, Interstates and so many shops and restaurants it will be hard to choose. A must see - Make the call!